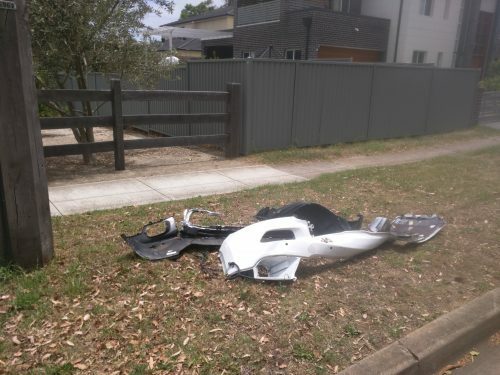 Two serious car accidents in as many weeks has angered residents living near the intersection of Shepherd and Sewell Streets in Ryde. 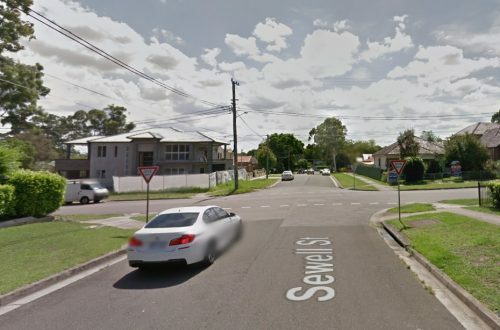 Last week a man cheated death in his blue Yaris after a 32-year-old woman travelling west on Sewell Street in a Mercedes AMG C63 sedan, ignored ‘Give Way’ signs on both sides before entering the intersection. A resident who saw the smash said the Yaris driver, travelling along Shepherd Street towards Victoria Road, could do nothing but brake hard as he was suddenly faced with the side of the woman’s vehicle. “There was such a loud noise as the two cars collided,” the Sewell Street resident told The Weekly Times. “She didn’t stop, but didn’t even know she was at fault, getting out of her car, not asking if the other driver was OK, but demanding to know why he didn’t give way. How the Give Way signs would have appeared to the driver at fault. The resident said another “more serious accident” happened the previous week after another driver didn’t give way as required from Sewell Street. “The debris from that accident is still fresh on the side of road. Someone will be killed soon if the accidents happen at this rate,” the resident said. The Mercedes sustained minor damage after spinning towards a telegraph pole, narrowly missing it. The driver of the mangled Yaris ended up on a grassed area to the right of Shepherd Street, missing a parked car on the way. Both drivers were fortunately able to walk from their cars, albeit dazed, with their cars towed away. Emergency services – including the fire brigade, ambulance and two local police officers – attended the scene of last week’s smash. 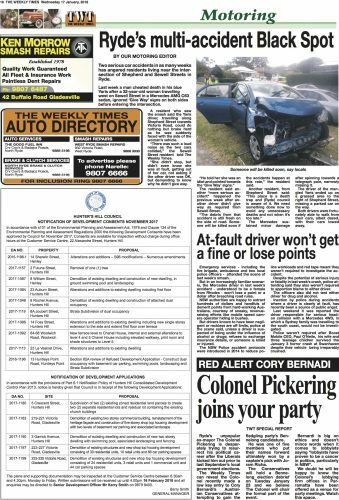 But in an increasingly familiar scenario, the Mercedes driver in last week’s accident – understood to be a resident of Rhodes – won’t lose a point or a dollar after breaching road rules. NSW authorities are happy to extract hundreds of dollars and handfuls of demerit points from hard-working Australians, courtesy of sneaky, revenue-raising efforts like mobile speed camera operator hiding in bushes. But drivers known to have been negligent or reckless are off limits, police at the scene said, unless a driver is suspected of being under the influence of ­alcohol or drugs; refuses to exchange insurance details, or someone is killed or injured. The NSW Police accident protocols were introduced in 2014 to reduce police workloads and red tape meant they weren’t required to investigate the accident. Despite the potential of serious injury or fatality in last week’s crash, police attending said they also weren’t required to apportion blame to either driver. The officers also did not test either driver for drug and alcohol. Inaction by police during accidents where a driver is clearly at fault, has recently been a source of public angst. 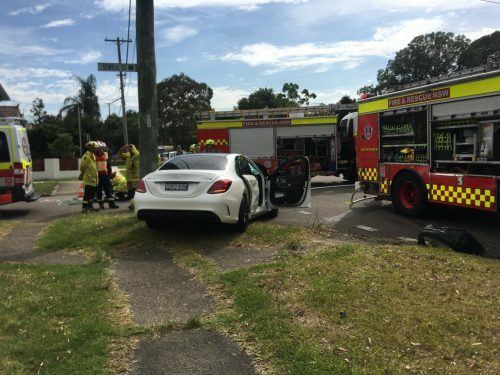 Last weekend it was reported the driver responsible for a serious head-on collision with a Mercedes 4WD, in which a Sydney family was travelling to the south coast, would not be investigated. Police weren’t required after Boost Mobile CEO, Paul O’Neile, his wife and three teenage children survived the January 3 horror crash at Swanhaven despite their vehicle being irreparably criushed. AUSTRALIA DAY: January 26 – YES or NO? Red Alert Cory Bernardi: Colonel Pickering’s joined your party!